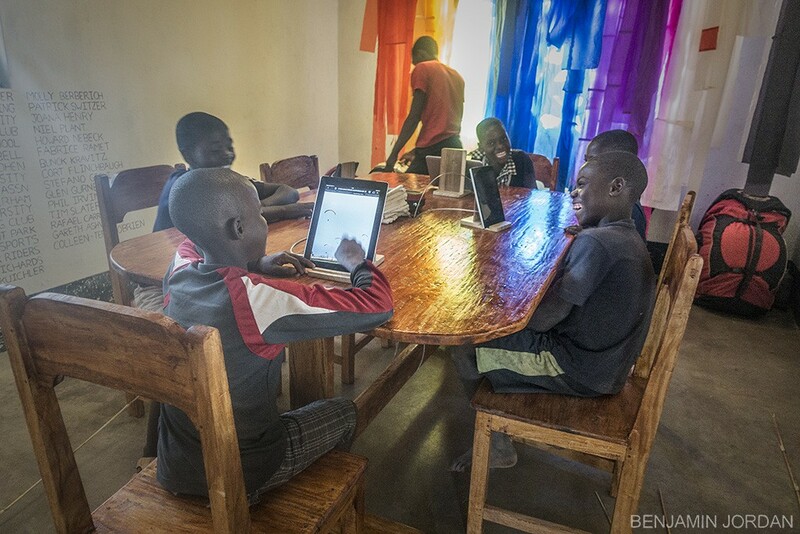 Situated at the foot of Malawi's Dedza Mountain Range lies the warm and welcoming Nazareth Communtiy Centre. A place for locals to find work or learn about sustainable farming practices, Nazareth (or "Naz") is unique in that, while it has received support to establish itself, the twelve year project has been developed entirely by the local community, under the leadership of Sister Josefa. Josefa is a shining star of a human being. 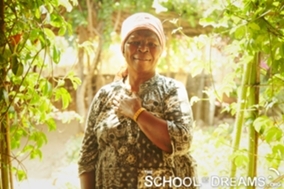 As an educated, independent Malawian woman, she dreams to empower the villages around her through her lead-by-example approach to permaculture, self-reliance and by creating a safe space, for youth and adults alike, to come and discover the passions; something which can be quite challenging under the social pressures of rural, Malawian life. The centre itself has two beautifully constructed guesthouses, hot, running water, flower and vegetable gardens and a large community hall, perfect for group activities such as paragliding theory lessons. 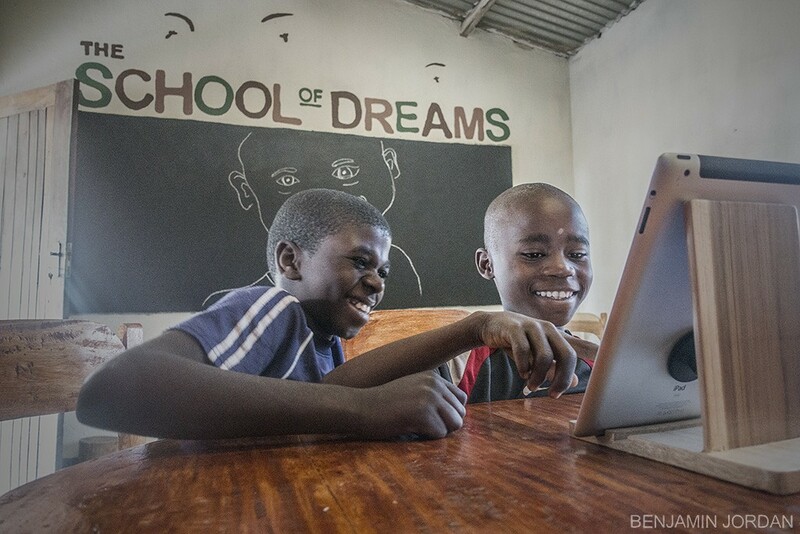 Beyond bringing tourism business to the centre, The School of Dreams project, has added to Naz by implementing a Solar Powered Internet Ceter for youth as well as bank of public sewing machines within the community space. 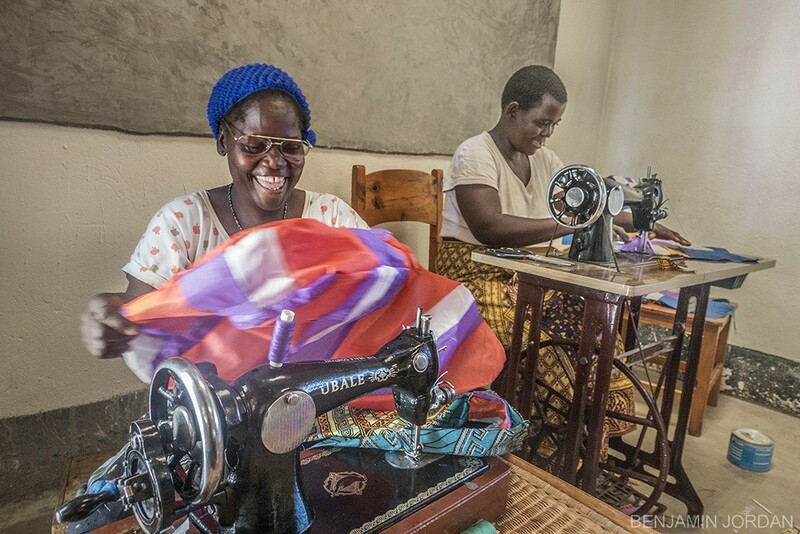 New Skills - Mathew and I got hard to work, learning to sew using these foot-powered machines, designing bags from the old paragliders and teaching local women how to make them. 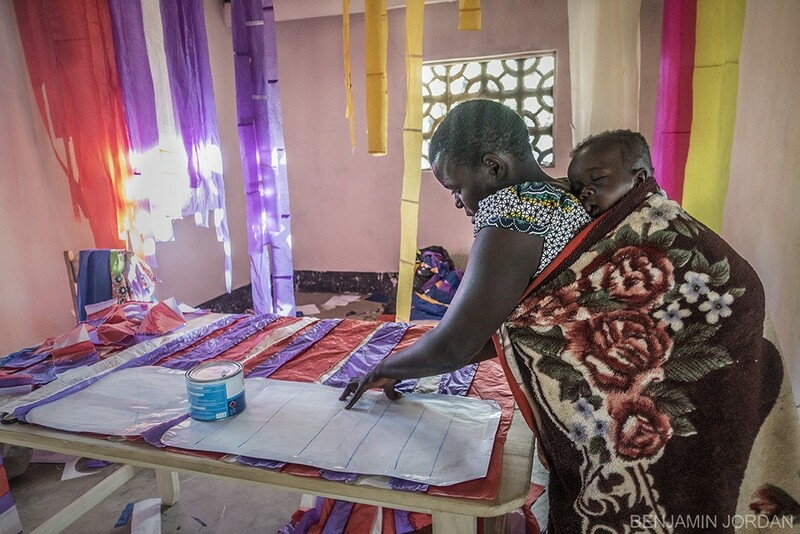 All about Family - A Malawian woman works with extra care as her newborn reminds her of why these new skills are so important to her. She is tracing Adventure Bag patterns out of recycled paragliders that she spent yesterday stitching together. 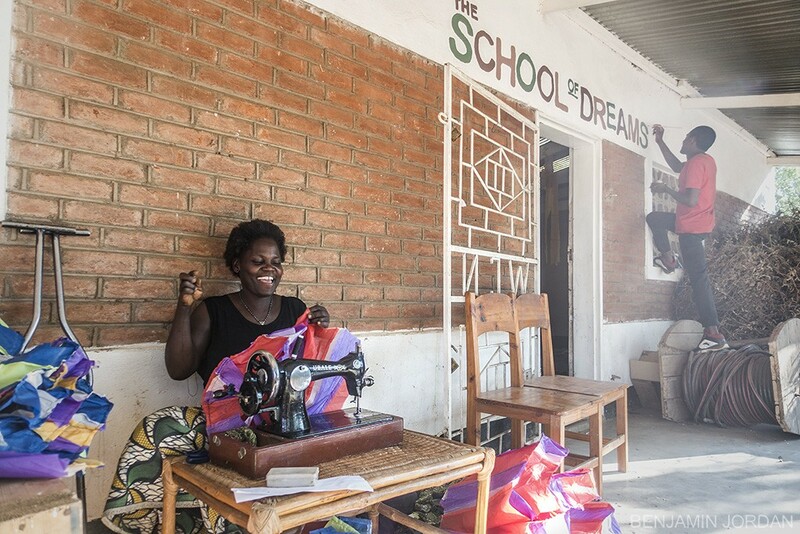 With her earnings she can buy the things she needs without having to sell her family's food. These beautiful bags will become available beginning next week. 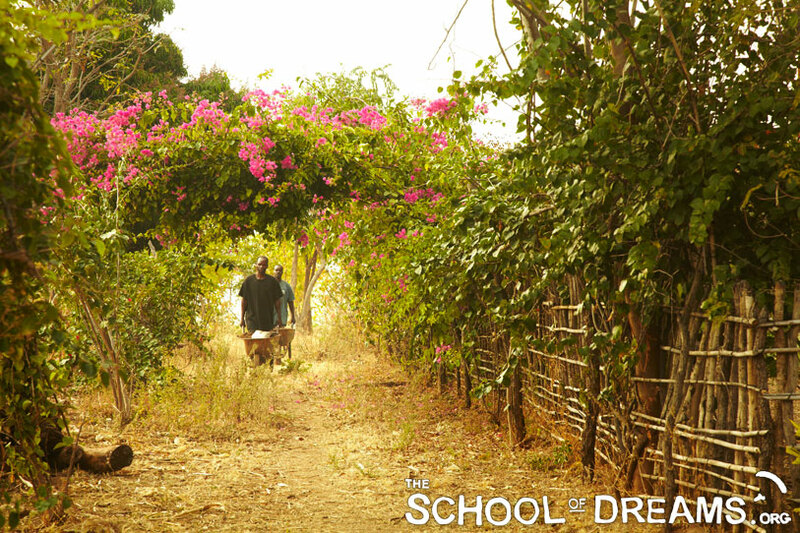 Open for Young Dreamers - Yvodia tacks Adventure Bags together while Matthew touches up the new School of Dreams banner outside the classroom. While this mom is stoked about her kids coming to learn about the internet and asked if she could take lessons as well. Trash To Treasure - On the left is a list of names of people that gave us gliders or computers they no longer needed. In the back are old gliders waiting to be recycled into our awesome bags. 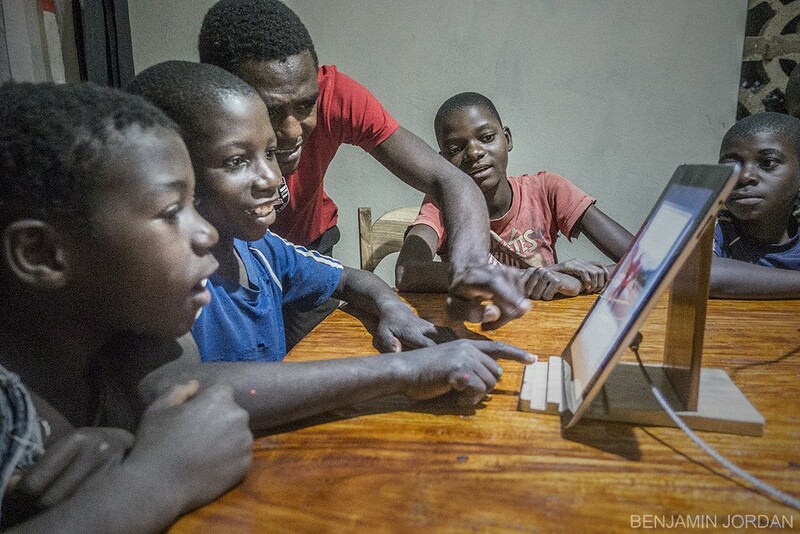 In the foreground are youth rejoicing in all of this, as they access information on Wikipedia and Facebook for the first time.